Step 1: Identify your Flickr user id. This is NOT your screen name. The easiest way we've found to do this is to visit http://idgettr.com/ and copy the web address of your Flickr account into the field as shown below. This will provide an id similar to the example shown here. 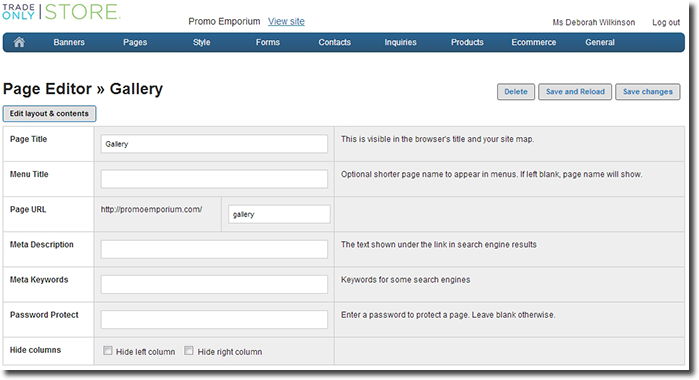 Step 2: Open your STORE content management system, and click on 'Edit Layout & Contents' of the page you want to add the gallery to. 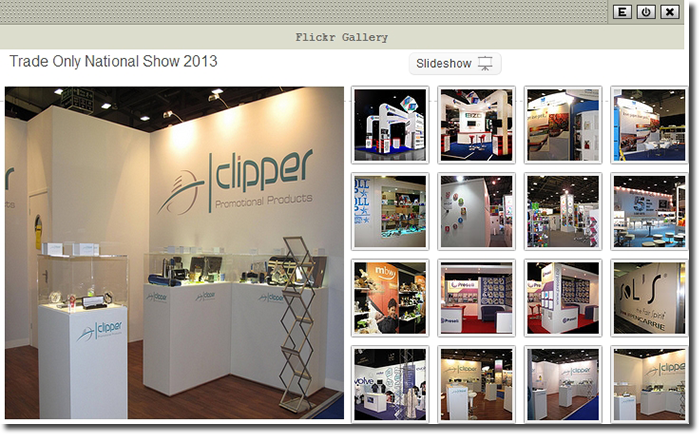 Step 3: Choose 'Flickr Gallery' from the module drop down options at the top left. Step 4: In the Edit screen, add your User ID to the field as shown below. You can also choose to only show photos with a particular tag, i.e. promotional products. Leave this field blank and the gallery will show all of your images. The Gallery Title will show as a caption on your photos. Step 5: Save changes, and then drag and drop the module into your preferred location on the page. 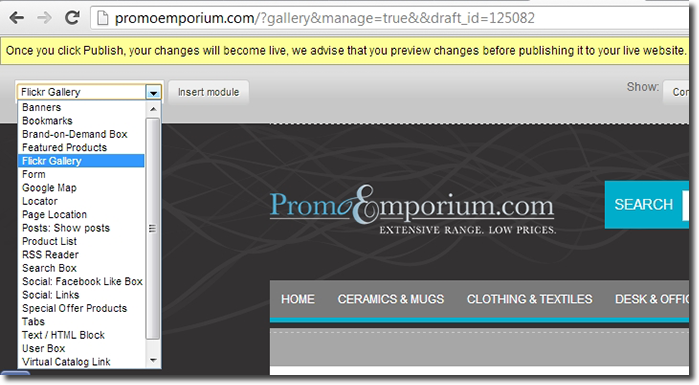 Step 6: Click on 'Publish' at the top right of the page to make your gallery live on your website.